Indulge in some delicious decadence with our desserts or ‘postres’. 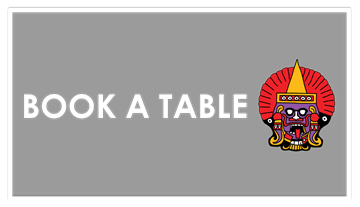 The Aztecs discovered chocolate...so traditional Mexican recipes truly harness its spectacular flavour! 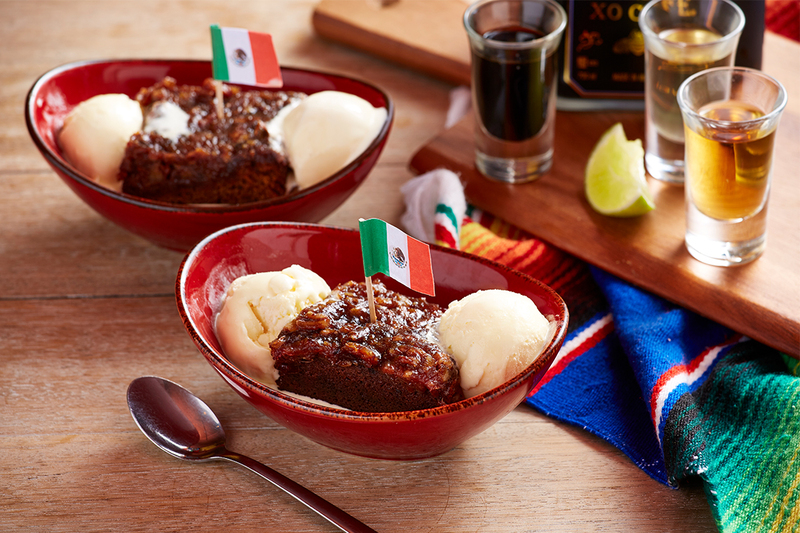 Try a mouth-watering Mexican Date Cake served warm with walnut & syrup topping and ice cream. 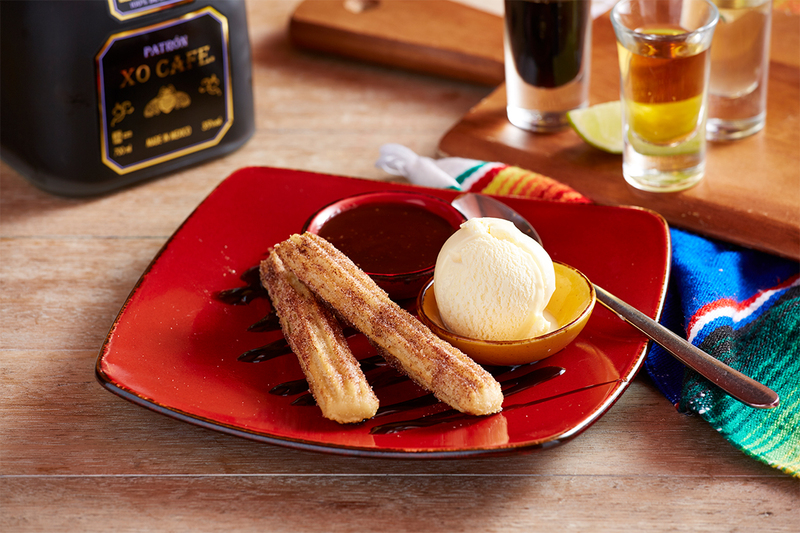 Or our Churros are justly famous - a mouth watering Mexican-style donut dusted with cinnamon sugar & served with delicious dipping sauce and ice cream. Our signature dessert, our Mexican date cake is made in-house and served warm, with walnut & syrup topping and ice cream (N) or coconut cream (N)(Vg). 3 mouth watering Mexican style donuts covered in cinnamon sugar served with dipping sauce & ice-cream (G) or coconut cream (Vg). A warm banana encased in a delicate cinnamon wheat tortilla, drizzled with pineapple glaze & served warm with cream & ice cream (G) or coconut cream (Vg). A Mexican twist on créme caramel, served with ice cream & sprinkled with sultanas & almonds. A delightful Montezuma’s favourite...a lightly-whipped chocolate mousse served with cream. Classic vanilla ice-cream topped with either chocolate or strawberry topping. Vanilla ice cream drizzled with coconut liqueur. Vanilla ice cream drizzled with Kahlua. Coffee made with Kahlua & coconut cream (Vg).